Sarychev Peak Volcano erupted June 11-21, 2009, sending out ash plumes. As the volcano is near some of the main air routes between East Asia and North America, there was some disruption to air traffic. 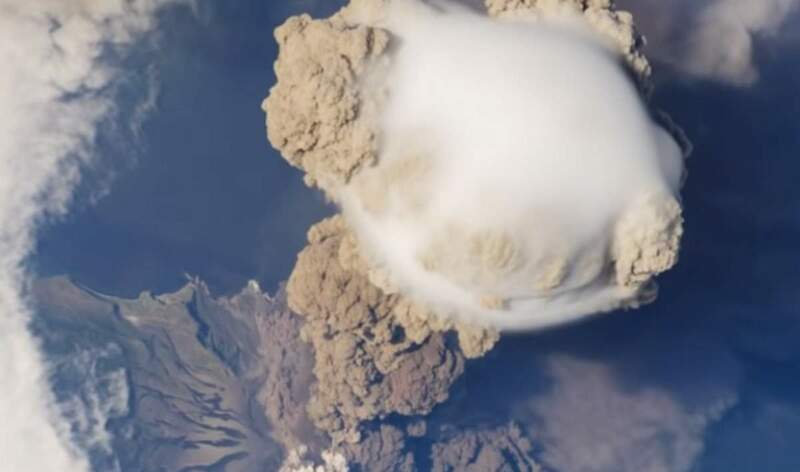 Sarychev Volcano Eruption from the International Space Station. During an early stage of the eruption, on June 12, 2009, the ISS passed overhead.